Bosch Brand Special Service Kit Special! 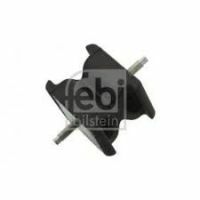 - Engine Service Kit for Toyota IQ 1.0 Petrol. 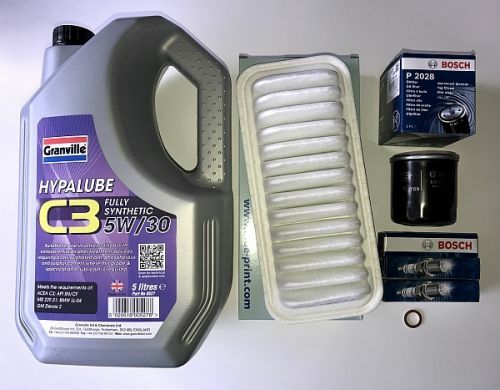 Kit contains 5 litres High Quality 5w30 C3 Fully Synthetic Oil (if you prefer a different grade of oil please leave a comment at checkout). Bosch High Spec Air Filter. Crush washer for sump plug. The oil supplied exceeds the manufacturers specification and is extremely long lasting. This kit is easy to do yourself with the simplest of tools, don't feel the need to pay a mechanic for something almost anyone can do in half an hour. If you get stuck, drop us a message, we will try to assist!